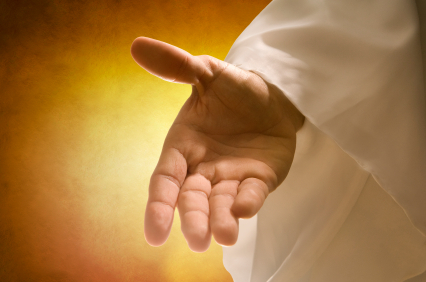 Psalm 73: 23-24 I am always with you; you hold me by my right hand. You guide me with your counsel, and afterward you will take me into glory. Have you ever had one of those days, weeks, or years when everything goes wrong? Health issues, financial problems, family struggles, or the death of a loved one—these are all things that can rip the joy from you, zap you of your strength, or leave you wondering if God is even out there. How often, during these times, do we think our prayers have gone unanswered? Or that God has turned his back on us? Or that he doesn’t care? Even if our faith runs deep, it is easy to get into that rut of believing the worst. It’s human nature. But I assure you, God will be with you every step of the way. He won’t stop at just walking beside you. He will, as the scripture says, hold you by his right hand. He will be your teacher, counselor, and mentor. He will guide you through the rough times, if you listen for his voice and search his word. I knew a woman who had lost her first and only child to crib death, or SIDS – Sudden Infant Death Syndrome. The impact of that child’s death rippled through our small church with the force of a tsunami. A short time afterwards, I found her in one of the Sunday school rooms cleaning the toys, wiping off the shelves, and singing. When she sang, when she prayed, or even when she shed her tears across the altar, she believed God was her strength. He held her hand, and guided her through the valley of the shadow of death. But most of all, she knew God had led her baby into glory. And that one day, he would lead her through, too. She’d be able to hold her child in her arms once again. This is his promise to us. A promise we can count on. This entry was posted in Devotion, Encouragement and tagged God's Promises, prayer, Relationship by Jennie K Atkins. Bookmark the permalink. I really enjoy your blog. It has many great writing tips. But what’s with the preaching? Not everyone is a Christian, you know?